beautiful rolling hills, friendly people anda willing workforce. with cool nights and colorful foliage. Winter usually arrives by December. and restaurants that keep the party going through the night. tap at any given time. Gage Park or by escaping into the winding paths of Shunga Trail. 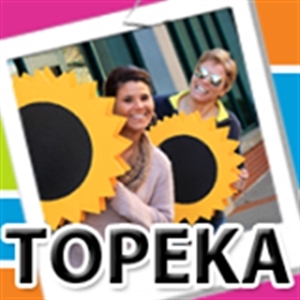 can catch shows at the Helen Hocker Theater, Topeka Civic Theatre and Academy, Topeka Performing Arts Center or Washburn University’s theater. Giants baseball team in the summer. and jazz and antique car shows. the lifestyle and activities that fit you. welcome to participate as ushers, tech support, performers and much more! galleries, and many business venues show art by local artists. comprehensive heart services are offered in high-tech, newly remodeled facilities. Jan 20.0 F° 30.0 F° 40.0 F° 0.9 "
Feb 24.0 F° 34.5 F° 45.0 F° 1.4 "
Mar 33.0 F° 44.5 F° 56.0 F° 2.5 "
Apr 44.0 F° 55.5 F° 67.0 F° 3.5 "
May 54.0 F° 65.0 F° 76.0 F° 4.9 "
Jun 64.0 F° 74.5 F° 85.0 F° 5.4 "
Jul 69.0 F° 79.5 F° 90.0 F° 3.8 "
Aug 66.0 F° 77.5 F° 89.0 F° 4.2 "
Sep 56.0 F° 68.0 F° 80.0 F° 3.7 "
Oct 45.0 F° 56.5 F° 68.0 F° 3.0 "
Nov 33.0 F° 44.0 F° 55.0 F° 1.9 "
Dec 22.0 F° 32.0 F° 42.0 F° 1.4 "
between September 2011 and March 2012. Home care Senior center Visiting nurses Topeka offers a wide range of services. Senior living communities provide lifestyles and daily activities attractive to seniors. In addition, those over the age of 60 living in Kansas have option of auditing classes at Washburn University- from exercise classes to foreign languages to history classes. Many organizations have discovered that seniors offer skills and expertise suitable for employment in many fields. There are also many volunteer opportunities at the Civic Theatre, library, social service agencies and schools, just to name a few.